For that reason, we worked hard to launched in 2015 our entrepreneurial initiative Parallel18. Sebastian Vidal, executive director, and his team of champions are working very hard to place Puerto Rico in the business map. P18, located in Santurce, hosts people from 9 countries that are accelerating their businesses from Puerto Rico. This team rocks!, bringing mentors from all over to advise their Generation 1, providing an amazing office space, and helping them succeed. We asked a few questions to Sebastian to learn more about P18. 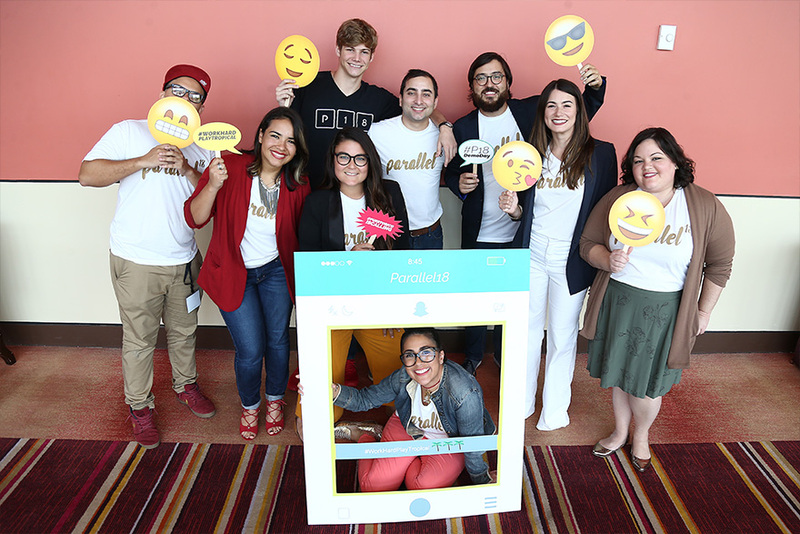 Sebastián: Parallel18 is an economic development initiative that aims to attract and create high-impact startups that can scale from Puerto Rico to global communities beyond the island, including Mainland US, Latin America, and Europe. Sebastián: Incubators focus on helping very early stage startups develop a sustainable business. These programs are ideal for entrepreneurs who: (1) have a defined idea or concept but no business plan; (2) still have to validate the market; or (3) are only working part-time in the new business. Meanwhile, accelerators work with companies that are young but already operating with clients or a working prototype. These entrepreneurs are mostly looking to grow their sales or customer base, and are considering introducing their business to a new market. Sebastián: The program’s mission is to expand the horizons of Puerto Rican entrepreneurs in the short term, and create economic development in the long term through the creation of successful global startups. You are done with your first Generation; can you tell us a little bit about this experience? Sebastián: We selected 36 companies from 9 countries for our first cohort, and having them work in the same space has created a dynamic environment where entrepreneurs collaborate and give feedback to each other. The local and international mentors have been more than helpful, giving advice and connecting the companies with potential investors and clients. During the Summer we had over 30 interns who had the unique experience of working with global startups and contributing to their growth, all without leaving the island. Your Second Generation is here! can you give us an overview of these start-ups? Sebastián: Generation 2 is very diverse, with around 30 startups from 12 different countries, some as far as Sudan and India. The variety of industries and projects is also very interesting, as it includes things like smart prosthetic hands, fashion, health and e-commerce. How are you guys impacting the local economy? Sebastián: There’s an immediate impact in our neighborhood, Santurce, with international entrepreneurs moving to the area, renting apartments and buying from local businesses. But as some of them plan to keep operations in Puerto Rico after their 5 months in Parallel18, there’s also job creation in areas such as Engineering, Sales and Marketing. Another way Parallel18 impacts the local economy is by promoting an entrepreneurial mindset among the residents of the island. We believe that a spillover effect from the exposure and interaction of over 30 local and international startups with the community is that we’ll see more people building companies with a global perspective. What is one of the biggest challenges you found during this year? Sebastián: We just launched the program in December 2015, so the biggest challenge was creating a program that attracted entrepreneurs and mentors from all over the world. Sebastián: We’re doing 2 cohorts every year, which means that we need to keep up with the efforts to spread the word about Parallel18 and Puerto Rico as a hub for global startups. On our last call for applications we received 507 entries from over 40 countries, and the goal is to increase those number with high-quality startups that see the value of scaling their businesses from the island. What is next for P18? Sebastián: Generation 2 starts at the end of August (today!) and will be with us until January 2017, so we’re focused on giving them all the resources these entrepreneurs need to thrive. Also, as the companies from Generation 1 continue their journey, we’ll keep supporting them through our networks. You read it folks, we are saying Farewell to Generation 1 and about to welcome Generation 2! Follow P18 on their Facebook Page and Twitter. About Sebastián Vidal: Mr. Vidal is the Executive Director of Parallel18 the new Startup Program of Puerto Rico, hosted by the Trust. He was the former Executive Director at Start-Up Chile, a government funded program aiming to attract global minded entrepreneurs to Chile in order to transform a country in to the world leading innovation capital. Through Start-Up Chile, he was able to work side by side with more than 1.000 startups from different stages and industries and witness a country’s cultural transformation towards entrepreneurship. He has also worked developing tech hub strategies with countries like Peru, Brazil, Lebanon, Malaysia and South Korea. He has invested in a couple of startups and also has been a mentor in different accelerators and entrepreneurship programs like Stanford Ignite, Founder Institute among others.